There's something special about buying and owning your own piece of land—raw, untouched property on which you can build your dream home from the ground up, farm livestock or timber, or use recreationally for hunting and fishing. Picking the perfect piece of land can be a bit more complicated than you'd expect, so it's good to know what's involved before you start! We here at Leger Purvis Real Estate are the land specialists for Vicksburg Mississippi in Warren County, Port Gibson Mississippi in Claiborne County, and surrounding areas in Central Mississippi. We're here to help you navigate the process of purchasing your own piece of property. First off, there are two types property that come up for sale. Commercial properties are zoned for commercial use only and cannot be used for other farming or recreational purposes. Commercial use is the use of property for the purpose of conducting business, so if you're looking for a place to operate a business, commercial property is what you need to be looking for. Non commercial properties such as agricultural properties can be multi use. Growing crops or timber for sale, recreation and hunting, livestock farming and ranching, or land preservation and conservation are just a few of the types of activities a non commercial property can be used for. If you're looking to build a custom house on your own piece of property, there are a few things to consider. Zoning and other land regulations can be accessed through public records at your local zoning office or city hall (many also offer zoning maps online). Unless you plan on parking your car on the side of the road and hoofing it to your home, your property must be accessible from a street or road. If the lot is landlocked, you will need to get an easement across a neighboring property, which means you get permission to pass through the neighbor's land to get to yours. A setback refers to how far from a property line a structure must be situated. If you have 20-foot structure setbacks from either side, but your lot is only 50 feet wide, that means your home can be no greater than 10 feet wide! Odds are that won't work. Some local view ordinances may limit your ability to add a second story to your house. Chances are quite good that you'd like your home to have water, electricity, and other modern-day conveniences. Contact the local municipality for rules and regulations associated with getting utilities such as water, electricity, and sewage installed on the prospective property. Your land specialist at Ledger Purvis Real Estate can help you with this also. Finally, unless you're paying cash for the property at closing, you'll need to line up financing through a lender. Getting a "raw land loan" is different from getting a loan for a home. Since there's no building on the property yet, it's easier for a buyer to simply walk away, leaving the lender holding the bag. Due to this risk, some lenders may require a higher down payment on land—anywhere from 20% to 50%. The loan may also have more stringent credit score requirements and a higher interest rate. On the bright side, the U.S. Department of Agriculture offers loans called Section 502 direct loans, which help low-income people purchase plots in rural areas and prepare them for a new house from scratch. Your land specialist at Ledger Purvis Real Estate will assist you throughout the process of purchasing commercial or agricultural land. 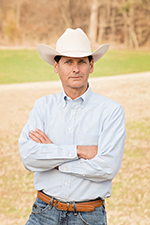 My name is Steve Purvis, and I want to help you make your land purchase dreams a reality. 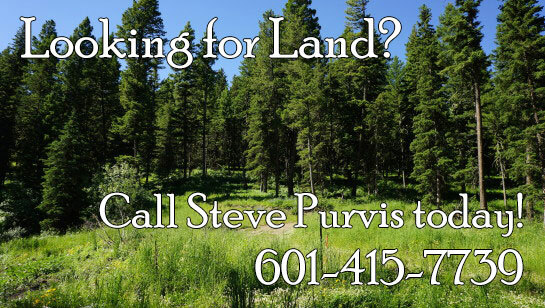 Call me at 601-415-7739 or email steve@ledgerpurvis.com and let's talk land!